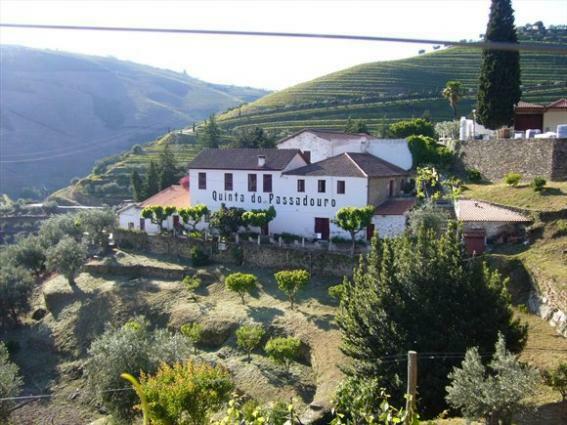 Quinta do Passadouro is located on the left bank of the Pinhão River in the Douro Valley. The estate is co-owned by the Bohrmann family and Jorge Serôdio Borges, whose family has been in the Port wine business for years. As a testament to his pedigree in the industry, Jorge also serves as director and head winemaker. This sprawling property in the heart of the Douro's Cima Corgo consists of two different vineyards: Quinta do Passadouro and Quinta do Sibio. Both vineyards boast a range of indigenous varieties native to the Douro, including Touriga Nacional, Touriga Franca, Tinta Roriz, Sousão and Tinta Barroca. Wine Spectator 90Velvety in texture and well-spiced, with ripe dark fruit flavors that are matched to engaging forest floor and cedary notes. Cocoa powder and candied plum details show on the refined finish. Drink now through 2020. 175 cases imported. Wine Spectator 91WS TOP 100 2013 Rank 37"There's plenty of power behind the cherry and crushed red plum flavors, joined by crisp, spicy notes. Hints of citrus peel impart extra zest, finishing with pure, powerful accents of pepper and slate. Drink now through 2020."